Linosa is an island in Italy belonging to the archipelago of the Pelagie islands, in Sicily. 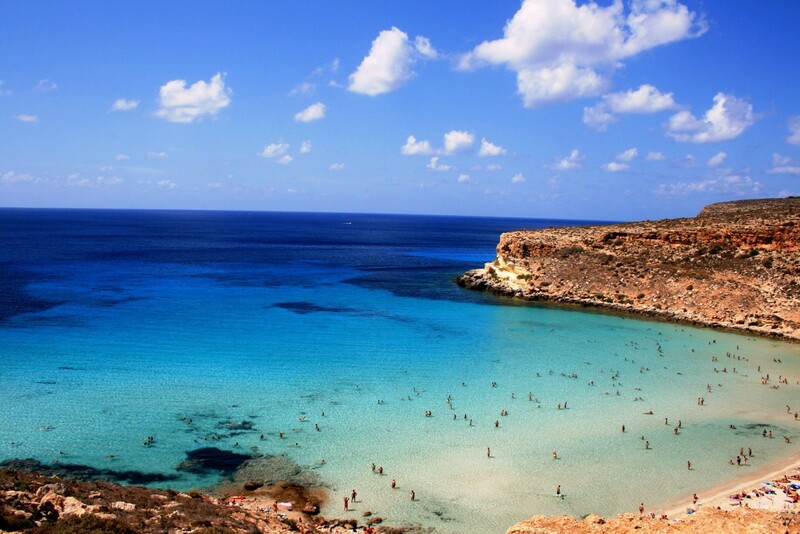 It has an area of 5.43 km² and is 42 km NE from Lampedusa, together with which it forms the municipality of Lampedusa and Linosa which counts 6.304 inhabitants  in the province of Agrigento. The island is mentioned by the Greek Strabone and later by Pliny the Elder in the Naturalis Historia as Aethusa and Algusa. The name Lenusa appears in the sixteenth century by the Dominican Tommaso Fazello. The name Linosainvece was born in 1845, used by the knight Bernardo Maria Sanvinsente. Do you want to travel with your family to get to Linosa? Select the option below, you will be pre-configured to search for 2 adults and 2 children, plus one vehicle. Do you like adventure and freedom and you want to reach the destination Linosa with your moto ? Select the option below, you will be pre-configured the search for 2 adults plus the bike. Select the option below, you will be pre-configured the search for a camper, 3 adults and a child. These are the shipping companies that serve the routes to Collegamenti Interisole, Ustica Lines-Liberty Lines. The rates of low cost ferries for @ # PORTO # @ are always highlighted as the best fare and are offered without any selection. For all ferry routes for @ # PORTO # @ , we always offer the best rate! Select your destination, departure date, number of passengers and vehicles and in a few clicks you will find all the information on schedules, prices and availability of the main shipping companies. All the informations are updated in real time. Choose your trip, enter passenger data and buy your ticket by paying by credit card, bank transfer or paypal. You'll get the tickets comfortably at the email address indicated in the booking phase. For any information you can contact our booking center +39.050.754492 or consult the section FAQ. If you need further help contact us: chat with our operators from Monday to Friday from 09:00 to 13:00 and from 15:30 to 19:30. Check out our FAQ to answer to your most frequently asked questions. You can call us to our Booking Centre from Monday to Friday 9.00 - 01.00 p.m. and 3.30 - 7.30 p.m. Saturday 09.00 to 12.30, Sunday closed.